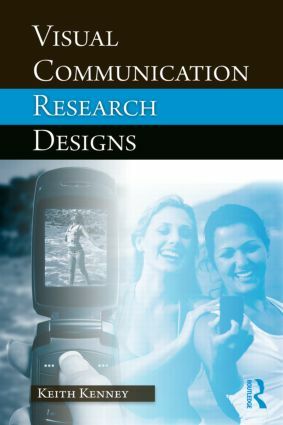 Visual Communication Research Designs provides a step-by-step guide for designing research involving visuals relevant to communications media. This volume explains the process from conceptualization to research questions, instrumentation, analysis, and reliability and validity checks. It also addresses the lack of sufficient methods to answer theoretical questions attending visual communication. This resource has been developed in response to the circumstance in which, in many cases, the methodologies used for verbal and textual communications are inappropriate or ineffective when applied or adapted for the study of visual communications. Additionally, research articles from ethnography, action research, rhetoric, semiotics, psychology, cultural studies, and critical theory often do not use examples appropriate to visual communication readers. To address these issues, this book explains in clear and straightforward language key research designs, including new methodologies, that are appropriate for scholars and students conducting visual communication research. Organized into three parts -- production, analysis, and effects of visuals – this research text provides guidance in using, interpreting and measuring the effects of visual images. measuring the effects of visuals and to understand their use by different groups. Ethical issues are included, as well as a discussion of the advantages and limitations of each method. "War stories" are provided by experienced researchers, who discuss a particular research project and explain pitfalls to avoid, as well as what to do when problems occur. The primary audiences are scholars, researchers, and students conducting research on motion pictures, video, television, photographs, illustrations, graphics, typography, political cartoons, comic books, animation, and other media with a visual component. Individuals will use this text whenever they need to conduct research that involves visuals in the media. The book will be a required text for advanced courses in visual culture, seminars on visual communication research, and other research methods courses integrating a visual component. I Don’t Want to Talk About It; I Want to Draw It!